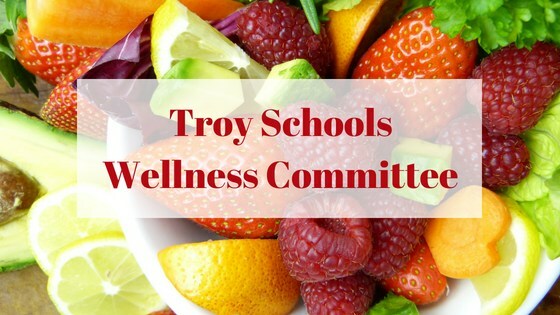 Troy Schools Wellness Committee is made up of eighteen members including, board members, school administrators, an assistant superintendent, athletic director, principals, teachers, food service staff, and parents. Our committee meets quarterly throughout the year to discuss various ideas to improve the health and well-being of our students and staff. Our Wellness Policy can be viewed here and provides an overview of our objectives and goals. If you have any questions or suggestions or would like to serve on our wellness committee contact Gayle Moran, Food Service Director, at 248-823-5059.